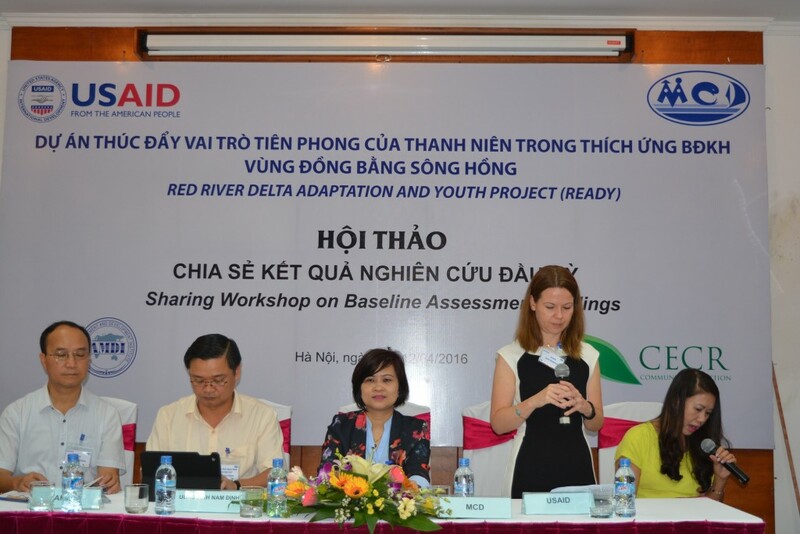 On 11th April, 2016 in Hanoi, the Asian Management and Development Institute (AMDI), in collaboration with the Centre for Marinelife Conservation and Community Development (MCD) and the Center for Environment and Community Research (CECR), organized a dissemination workshop on baseline results on climate change under the framework of READY project, which is funded by USAID. 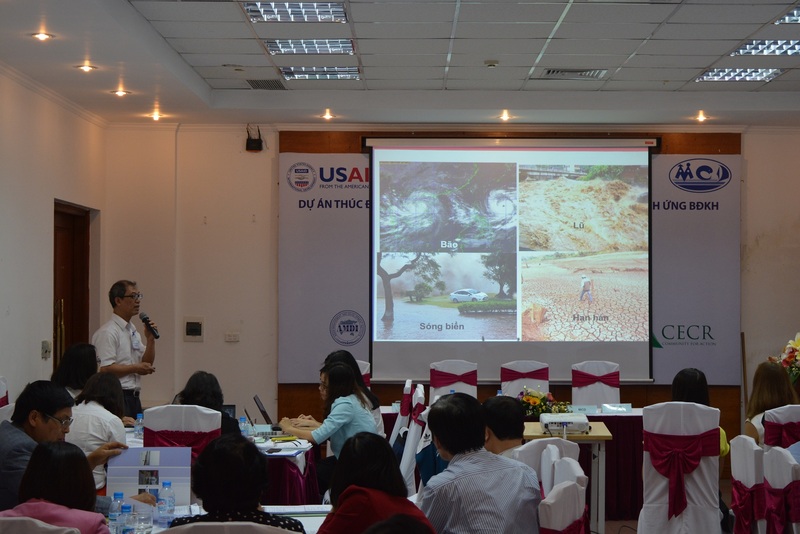 The workshop welcomed representatives of USAID, MCD, CECR, the Provincial People’s Committee, the Department of Natural Resources and Environment, the Department of Agriculture and Rural Development along with Youth Unions from Nam Dinh, Thai Binh and Hai Phong. Besides, the workshop also saw presences of experts and NGOs working on climate change. 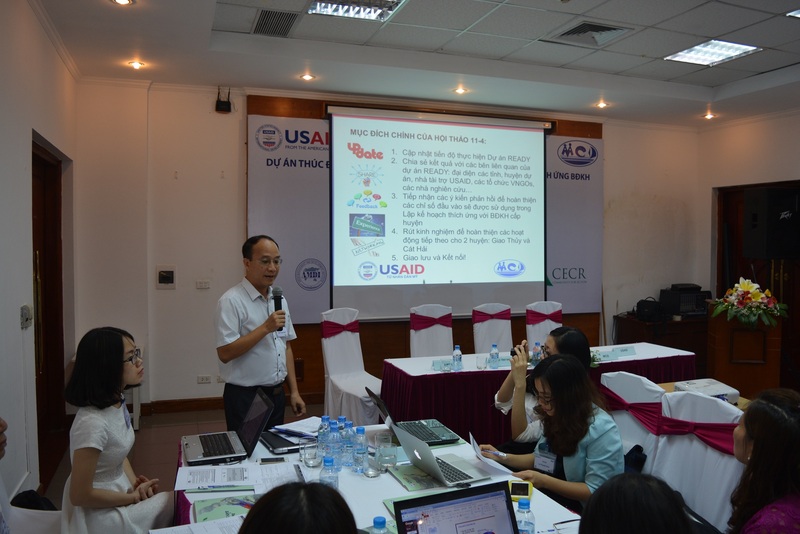 To open the workshop, Mr. Ngo Cong Chinh, Deputy Director of AMDI gave a brief overview of the workshop and updated the Project progress. The main purpose of the workshop is to update project implementation progress, to share baseline results with stakeholders and receive feedbacks in order to complete input indicators for provincial plan on adaptation to climate change. 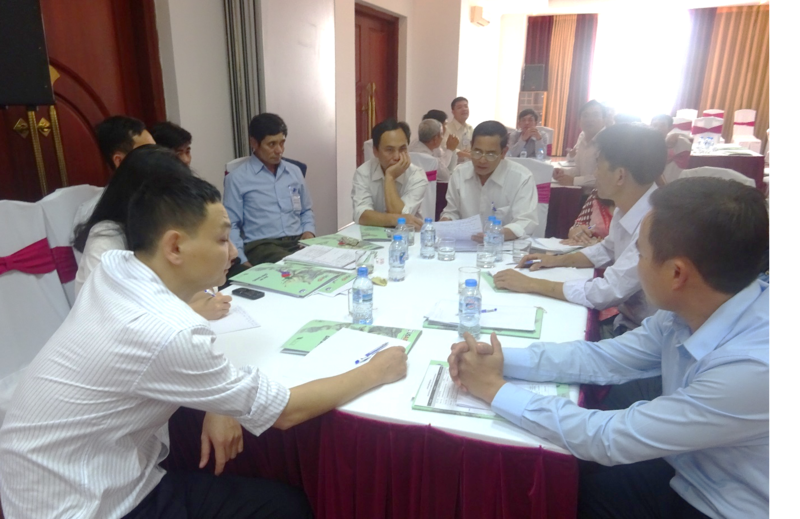 In addition, lessons learned were collected for better implementation of upcoming activities for Giao Thuy district and Cat Hai district. In the workshop, delegates had change to learn more about climate change and sea level rise situation in Vietnam through the presentation of Dr. Bui Minh Tang: “Over the past 50 years in Vietnam, the annual average temperature has increased by about 0.5˚ to 0.7˚C, sea level has risen by about 20cm. The phenomena of El-Nino and La-Nina increasingly have strong impacts on Vietnam. Accordingly, natural disasters, especially storms, floods and droughts are becoming more and more serious. According to calculations, the average temperature in Vietnam may increase by 3˚C and sea levels may rise by 1m by 2100”. During the discussion, representatives of project localities and Youth Union discussed about current situation of climate change at localities, the role of Youths in proposing initiatives and participating in adaptation to climate change, strengths and weaknesses of calling for youths participating in local activities. The representative of Tien Hai district said: “Currently, the lack of young people is the biggest challenge because most of young people attend schools away from home. Therefore, it is very difficult to call for youths to participate in climate change adaptation activities”. Research scope was focused on district level. During the workshop, delegates actively discussed and proposed opinions for project implementation in the upcoming stages. Above mentioned baseline results will be the base for CCA plan development, communication events and implementation of CCA initiatives posed by the local youth. Develop a detailed technical planning scheme based on master planning and apply an integrated approach and sustainable aquaculture in Ha Long Bay in association with heritage conservation. Strengthen planning and management plans using an integrated approach and for sustainable aquaculture practices in Ha Long Bay in association with heritage conservation.